Today's challenge is to go on a book scavenger hunt. 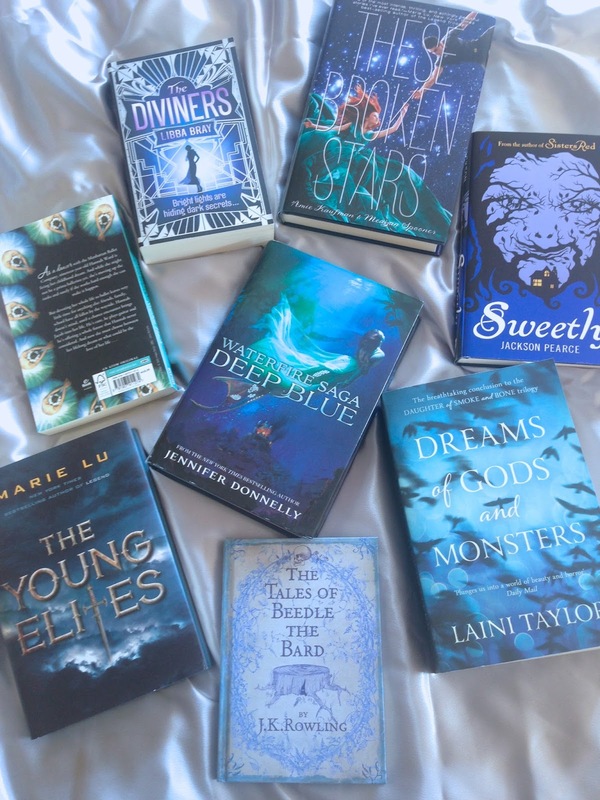 I actually had a lot of fun finding the books to suit the requirements. I think they turned out rather well!! I chose Bunheads by Sophie Flack. It's about 'B'allerinas and 'B'usy schedules and 'B'eautiful talented people pushed to the 'B'reaking point. Lots of 'B's in there. 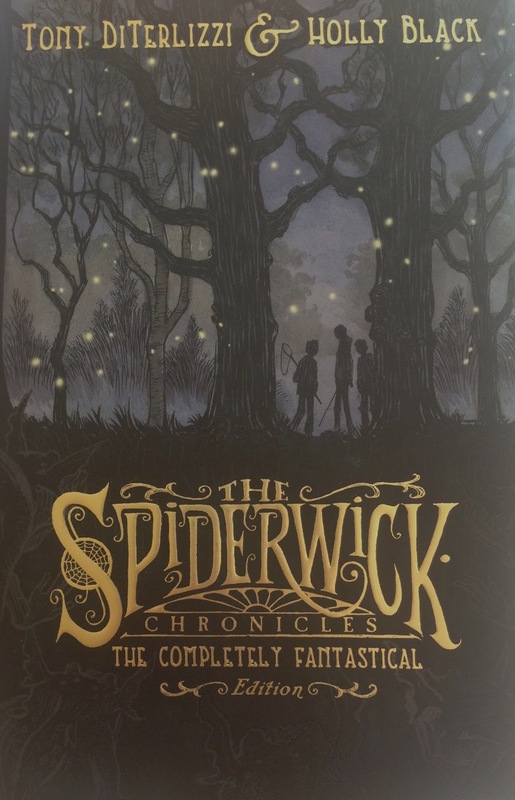 I'm going to be reading Fantastic Beasts and Where to find them. I have been meaning to read this for so long I cannot wait! I LOVED putting these together! They all look so beautiful there are a few of my favourite book covers in here. 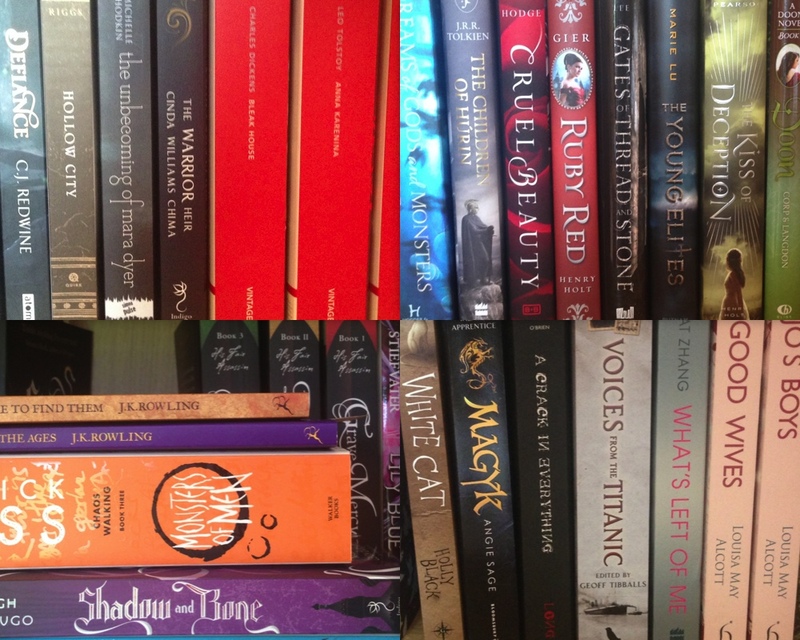 My favourite genre is Fantasy. 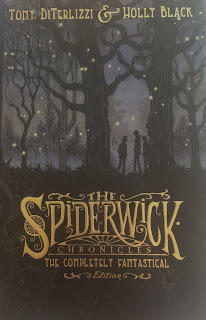 The Spiderwick Chronicles are always going to be some of my favourite fantasy books! 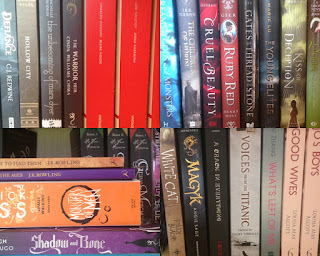 I tried to get as much of my TBR shelves in the shot as possible but it was difficult because I have so many! I hope you enjoyed looking through these! They were a lot of fun to make!